2011 Debut Set for Olympus Rally and MaxAttack!!! For 2011 the Demon Rally Team looked forward to competing at the Doo Wop Rally to shakedown the newest evolution of their Fine Tuning Sponsored Volkswagen Golf. Unfortunately, the early season cancellation of the Doo Wop Rally disappointed the team, but the rally’s reincarnation as the Olympus Rally motivated the team to compete in an event they haven’t run in over two years. Needless to say the team is amped to compete at the 2011 Olympus Rally on April 30-May 1st. 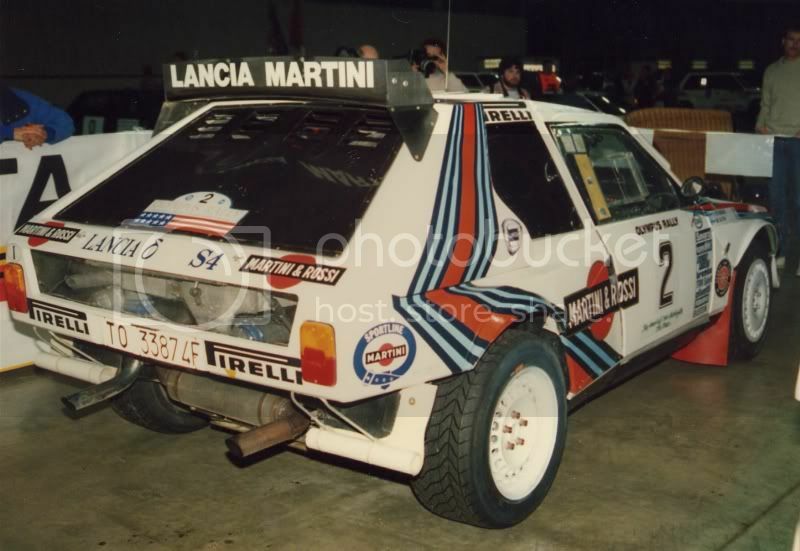 This once famed WRC event has had it all including Group B monsters of the day. The event started back in 1973 and has been going strong ever since. In 2011 the event is based in Ocean Shores, Washington, overlooking the coast of the Pacific Ocean just south of the state’s capital city of Olympia. This event is round three of the Rally-America National Championship and all of the big dogs should be on hand to compete including most of the Pacific Northwest’s top 2wd teams. The 2011 MaxAttack!™ Rally Series Presented by Danza del Sol Winery runs in conjunction with the Rally-America Championship and holds three annual events. This series is setup specifically for two wheel drive cars and Danza del Sol helps the series $15,000 in cash for placing well in the series. This is the 5th year of the series, and will be the fourth Max Attack event that the Demon Rally Team has run. While we’ve had mixed results at Max Attack events and encountered some equipment issues, the team placed fourth in MaxAttack and 1st in Group 2 when they traveled to Michigan to compete against the best 2wd drivers in the nation in 2007. The MaxAttack series is our number one reason for choosing to compete at the Olympus Rally this year. Amongst other reasons why we are competing at the Olympus Rally is because the event shares one of the Demon Rally Team’s favorite stages, the infamous Brooklyn Tavern Stage. The Brooklyn Tavern stage is an open rural county gravel road, closed only once a year for this event, its twisty and banked nature have created one of the greatest and most renowned stages in the nation. In 2008 the Demon Rally Team set a Group 2 record on the stage blasting through the 7-mile stage in 7:02 averaging a hair under 60mph through the stage. The Group 5 record is fully 13 seconds faster than their current record; while the team isn’t looking to eclipse that mark, they are looking to bring it at the familiar Doo Wop stages the Olympus Rally currently runs on. 2011 brought with it the passing of a great Pacific Northwest rally enthusiast and Doo Wop rally legend. Ray Damitio was dedicated to the sport as well as his community, friends and family. The team first met Ray in 2006 when they ran their first event at the Doo Wop Rally. His booming voice commanded attention and you could tell that this man was well respected among everyone. Ray appreciated the efforts of the little guys in racing and brought with him a quality in rally that will certainly be missed. The Demon Rally Team appreciates his efforts and salutes him and his friends in his passing. We hope we can put a good show on for Ray at the Olympus Rally this year. Thanks for reading and as always, we’ll see you out there, sideways. You are currently browsing the DemonRally blog archives for March, 2011.